Anonymous sent out tweets on Wednesday claiming that the PlayStation Network, which suffered a devastating hack last year, has been struck again. The hacking collective tweeted "Hacked @PlayStation Network, Pwnd" (see screenshot), while another tweet reportedly claimed 10m accounts were at risk. Both tweets have now been removed, which suggests that perhaps the claims were a hoax. To further muddy the waters, a Sony employee, Shane Bettenhausen of the business development unit, tweeted that the claims were "totally fake." However, his tweet has now subsequently been removed also. It compromised the personal data, including, it is thought, the credit card details, of up to 100m members. The saga caused huge damage to the reputation of Sony's PlayStation brand and sparked a long summer of hacks to popular gaming companies like Nintendo and Codemasters. 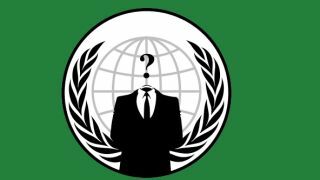 Sony blamed Anonymous, while Anonymous denied it was responsible. The hack was eventually attributed to the offshoot group LulzSec. Another hit would be a huge blow to Sony. We'll let you know when there's official word either way, but it appears that this may be a false alarm.